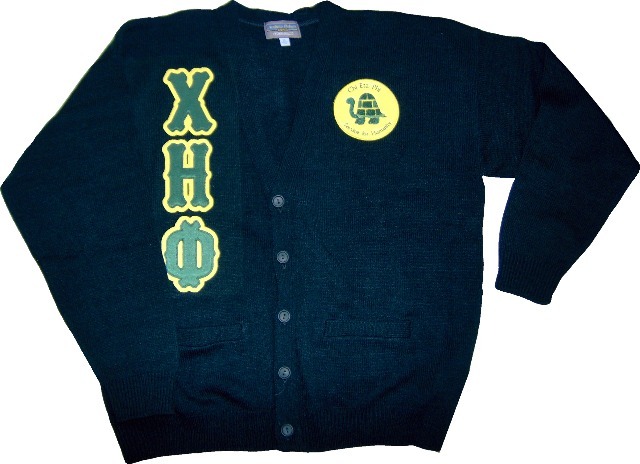 Home > Sorority and Sisterhood Merchandise > Chi Eta Phi Items > Chi Eta Phi Outerwear > Chi Eta Phi Solid Cardigan - CLOSEOUT! Our gorgeous Cardigan is wonderful addition to your wardrobe! This solid cardigan is 100% acrylic and fully washable. It features gorgeous custom lettering, and tapered cuffs and bottom. Dress it up or down, this classic look never fails to look good! Don't Worry, a new cardigan is coming soon!